The report ends: There is no intimation that the arrangements of last month, by which third-class passengers are prevented from coming through from Paddington to Truro, Falmouth or Penzance in one day, are to be rectified. Through third class tickets from Paddington to Penzance in one day had first become available on 1 January 1867 allowing passengers to board the 6 am train at Paddington and arrive at Penzance at 9.05pm. This was regarded as a great step forward but in early February these through tickets had been withdrawn and replaced by through third class tickets on the Night Mail which left Paddington at 8.10pm and arrived at Penzance at 9.35 the next morning, a situation widely viewed as unsatisfactory and which was addressed, to an extent, by the provision of through third class tickets from Bristol. The intricacies of today's railway ticketing arrangements are clearly nothing new! But we digress! By at least June 1867 there were through trains between Paddington and Penzance. The West Cornwall Railway from Truro (Newham) to Penzance had been standard gauge 4 feet 8½ inches while the Cornwall Railway and other parts of the line from Paddington were broad gauge, 7 feet ¼ inch. This meant that there was “a break of gauge” at Truro where chaotic scenes ensued as panicked passengers changed trains. The laying of a third rail on the West Cornwall Railway enabled both standard and broad gauge trains to travel along the line. 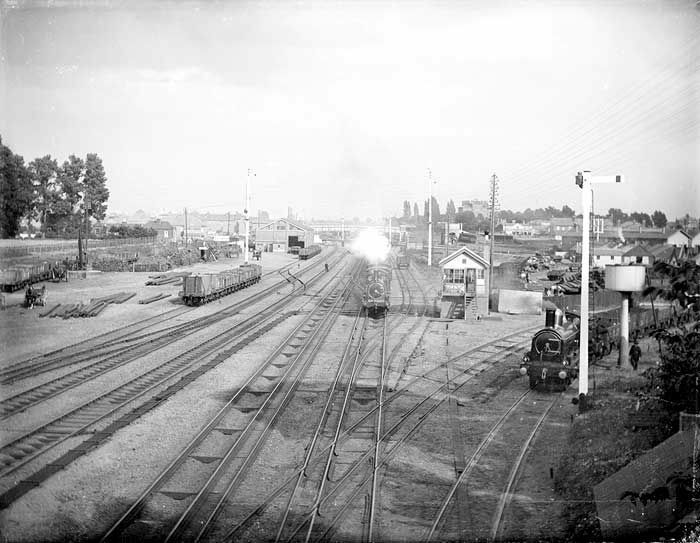 The mixed gauge track led to complexities of working especially where points were concerned. The West Cornwall Truro station at Highertown was abandoned and trains ran into the present Truro station. The broad gauge locomotives were provided by the South Devon Railway and these worked through Cornwall. Goods traffic continued to work to the old terminus at Newham until the 1960s and the line is now a footpath. The broad gauge lasted in Cornwall until 1892 and the story of its final conversion over a single weekend will be told in another On This Day.